New year, new hair! The way we fix our hair in the morning is not only an extension of our personal style, but it can totally redefine our self-confidence and the way we carry ourselves. Whether you are ready for a total makeover, or simply want to refresh your hair-do, here are some of the coolest crazy hairstyles of 2018. Chop it all off! Start 2018 by starting from scratch and trying out a pixie cut. Katie Holmes and Halle Berry are rocking it, and looking better than ever. The pixie cut can be a little intimidating, but it can also be one of the most rewarding cool crazy hairstyles this year. Shorter hairstyles are easy to manage, and only take a few minutes to style in the morning. You can achieve an edgy, tousled look by adding some gel or wax, and you can also achieve a sleek, modern look by tucking your hair behind the ears and combing it down flat to the scalp. Both looks are super trendy and chic. A blunt bob with bangs is another one of the cool crazy hairstyles in 2018. We have been seeing it all over the red carpet and will continue to see it in the new year. If you want to make a dramatic change to your appearance, this one is for you! A short shoulder-length bob with blunt bangs that sit just below the eyebrows will enhance your facial structure and make your eyes appear even more smoldering. Go for a more youthful look by styling it with soft curls, or get a more polished look with shiny, bone straight strands. Another one of the cool crazy hairstyles to try out in 2018 are curtain bangs. With your hair parted down the middle, curtain bangs will softly frame your face and add a retro vibe to your style. I love this trend because the forgiving cut of the bangs continues to frame your face even as your hair grows out. No matter the current length of your hair, curtain bangs are an easy way to totally revamp your hairstyle in 2018. The next hairstyle trend this year is creating a juxtaposition with gender. Female and male models alike have been gracing the runways with seemingly gender opposing hair-dos. Men are rocking longer styles and women are flaunting a boyish look. 2018 is the year to fully embrace your personal aesthetic and break social norms. Go for it! Single long layer hairstyles are also making their way into the new year. Many celebrities and social icons are loosing the choppy layered look and trading it in for a sleek straight one. 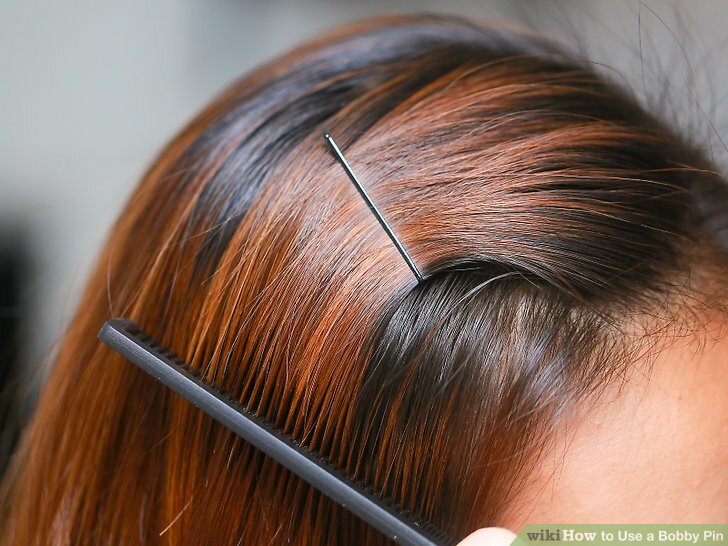 By using a flat ironing tool and nourishing hair products, your hair will luxurious and effortless. Push all of your hair to the back and let it drape behind your shoulders for simple styling that not only emphasizes your outfit, but also the length of your hair. The next way to change your hairstyle this year is through color! All the celebrities are doing it, and so can you. If you have a bold, creative personality, choose a daring color like blue or pink to don your head. If that is a little too much color, follow Kim Kardashian West or Selena Gomez in going platinum blonde! Whether you are traditionally a brunette like these two celebrities, or have naturally light hair already, going platinum is one of the best cool crazy hairstyles to brighten up your style this year. Try asking the salon to keep the color off of your roots for overall healthier hair and less up-keep as your hair grows out. Lastly, if you are happy with your current haircut and color but want to change up your styling, try these cool crazy hairstyles that are interesting twists on classic looks: Parallel Pins, Bubble Ponytails, and Bizarre Braids. Parallel pins are an easy way to add style to your hair without doing much. By simply clipping back your hair with traditional bobby pins or more elaborate ones, you will look runway ready. This classic idea of pinning your hair off of your face will have you looking fresh and awake, while the twist of adding two or more pins to each side of your head will have you looking more fashion-forward than ever. Placing the pins in line with your temples promotes the symmetry of the rest of the face, while also adding interest and sparkle to your outfit. Bubble ponytails are another one of 2018’s cool crazy hairstyles that will jazz up any outfit. Inspired by Rhianna’s Fenty x Puma runway show, bubble ponytails are a fun way to add interest and texture to your hair without doing anything permanent. To achieve this look, all you have to do is secure a traditional ponytail and then begin adding more elastics throughout the ponytail to give it a bubbly effect in between each elastic. Placing the elastic bands precisely will give you a streamline look down your back while keeping them randomly placed will give you a perfectly imperfect urban look. Bizarre braids are the next twist on a traditional hairstyle. Classic braids, French braids, and even Fishtail braids can become mundane and boring when executed traditionally, so let’s mix it up in 2018! Weave individual braids into one larger braid, create a peek-a-boo effect by having many small braids throughout your hair, or try creating interesting ponytails and buns with braids. This trend is awesome because you can create so many different looks for all ages. 2018 is going to be an impressive year, representing an avant-garde in many fields. Hairstyles make no exception, and as a proof, you can check out these cool crazy hairstyles that will be the bomb in the following months. Most likely, you have already noticed them on many stars who set the trend for 2018. You just need to choose the one you like the most and get trendy for this new year!